When music composer Aadesh Srivastava organised a Sound Of Peace concert at Andheri Sports Complex, in suburban Mumbai, many of his friends from the film industry turned up in support. 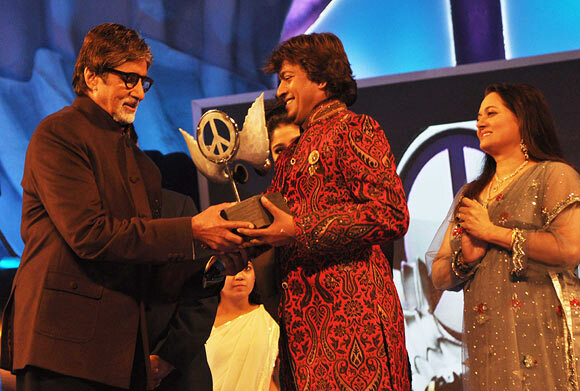 Amitabh Bachchan, who has worked extensively for Srivastava, performed at the do and joined the musician as he handed over the proceeds from the concert to the Commissioner of Mumbai police. Actors Poonam Dhillon and Shekhar Suman were also in attendance. 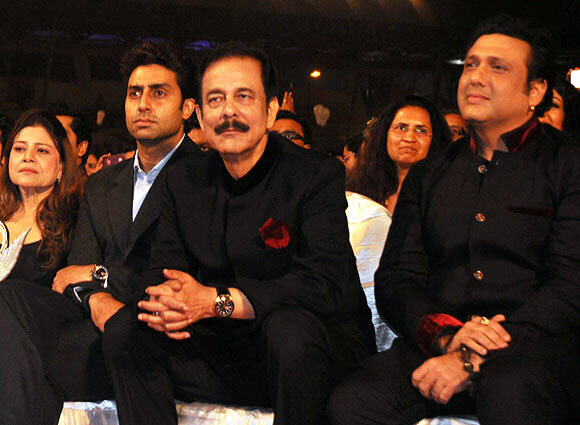 Singer Sapna Mukherjee was spotted with Abhishek Bachchan, Subrata Roy and Govinda in the front row. 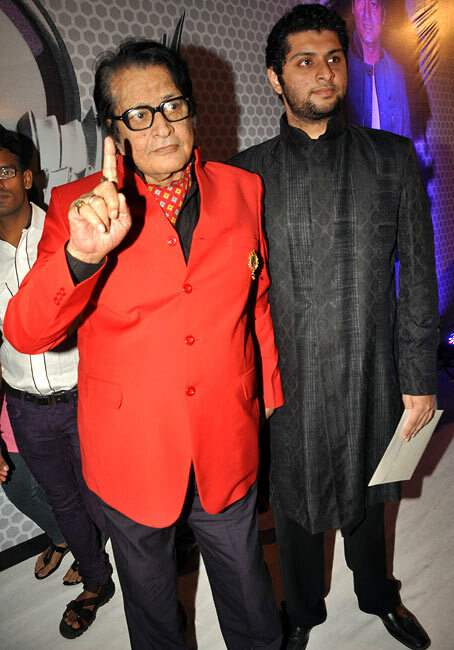 Veteran actor Manoj Kumar was seen arriving for the concert. Vicky Donor actor Ayushmann Khurrana was joined by wife Tahira Kashyap. 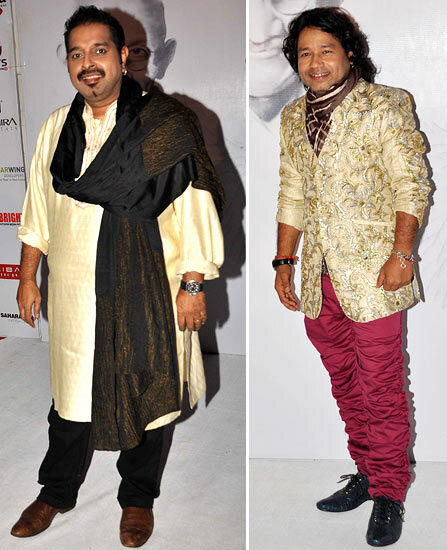 Singers Shankar Mahadevan and Kailash Kher at the venue. 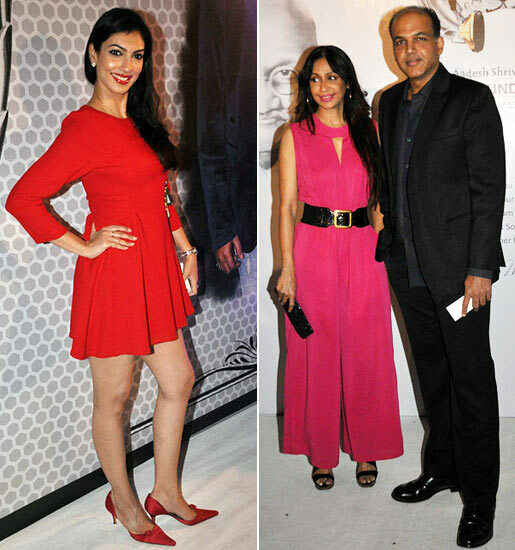 Former Miss Worlld Yukta Mookhey and Ashutosh and Sunita Gowariker arrive. 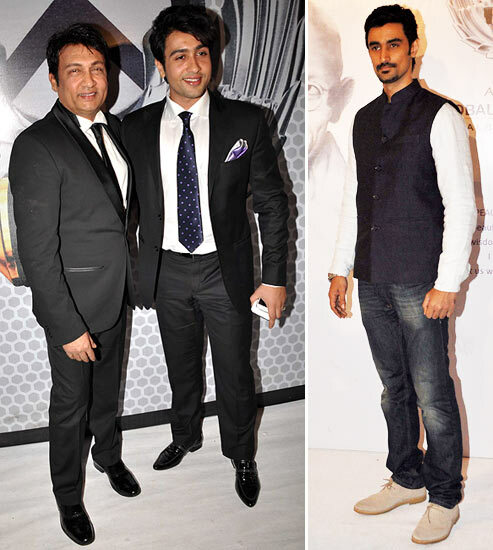 Actor Kunal Kapoor, father-son duo Shekhar and Adhyayan Suman spotted at the do.